I don't know if it's the cooler weather or just the fact that I have been off makeup for a while, but of late, my go-to lip colors have been reds and deep plums. While these are colors that tend to be popular every fall/winter, it's quite a big change for me. I could live my life with a neutral lipstick or two! 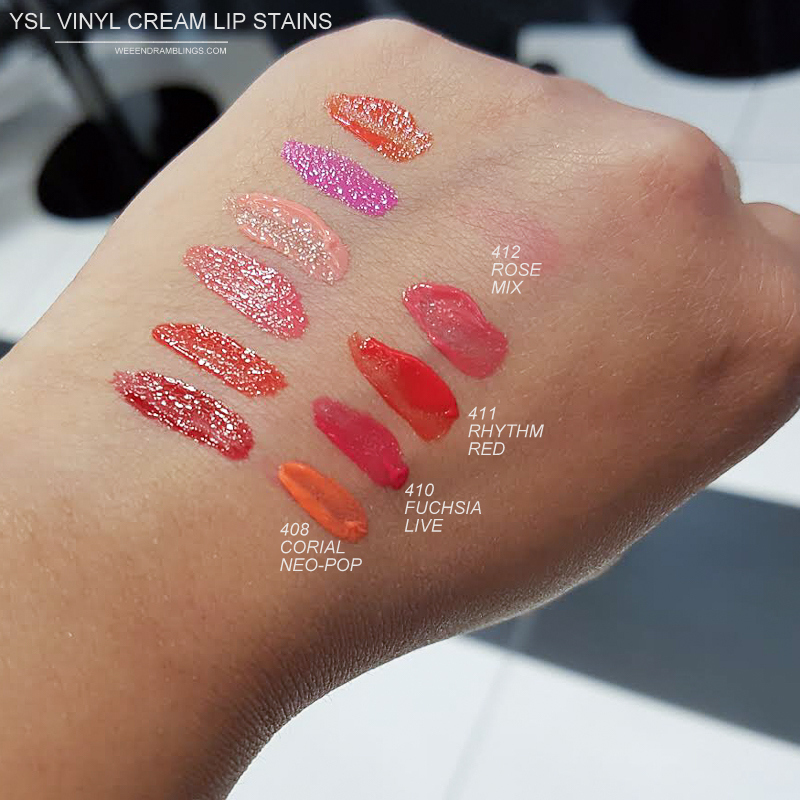 I think what got me started are all the lovely new products out in stores now - lightweight formula with beautiful pigmentation - and the YSL Vinyl Cream Lip Stains would be a perfect example. 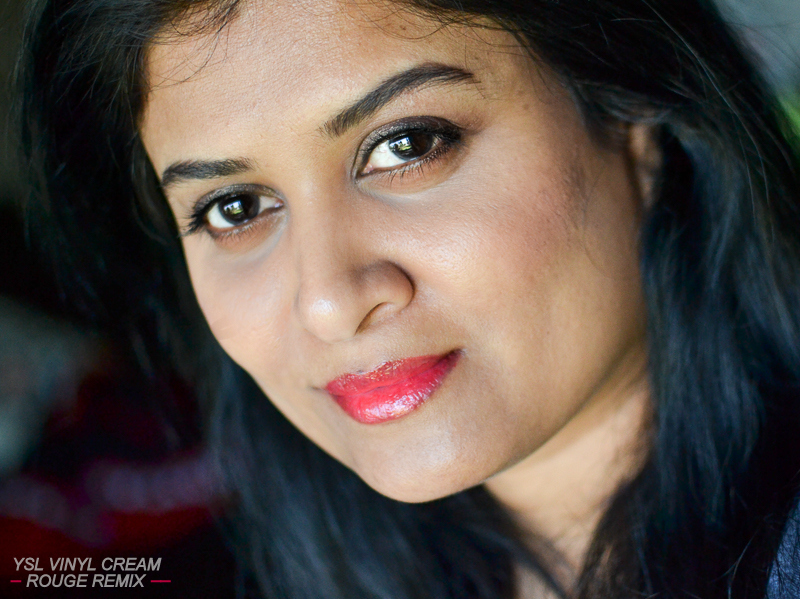 These creamy, glossy, lip stains feel so light on the lips, going on like a stain (and lasting just as long), and pack quite a punch with the color payoff and lasting power. I got a teeny sampler of these with one of my Sephora orders (Rouge Remix, Rouge Vinyle, and Explicit Pink), and I am in love! Scroll on for swatches of more shades in this collection. My local Sephora was out of 3 of the colors, and from what I have read online, the color that everyone has been trying to get their paws on is 407 - a beautiful rose shade that seems as impossible to find as a prancing unicorn! 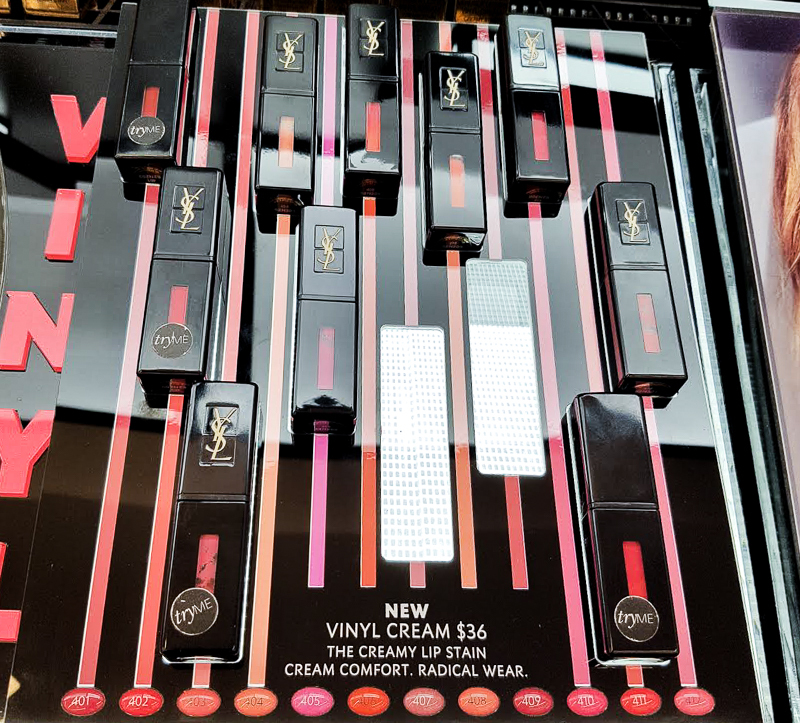 Anywho, the YSL Vinyl Creams come packaged in glossy black packaging that's a bit different from the usual gold that the brand seems to favor. These lip stains are available in a bunch of different shades, ranging from deep reds and burgundies to peachy nudes. The bright, pigmented colors translate just the same on my lips, but they do seem to absorb and settle into the skin so they are not going to look like thick glosses on the lips. 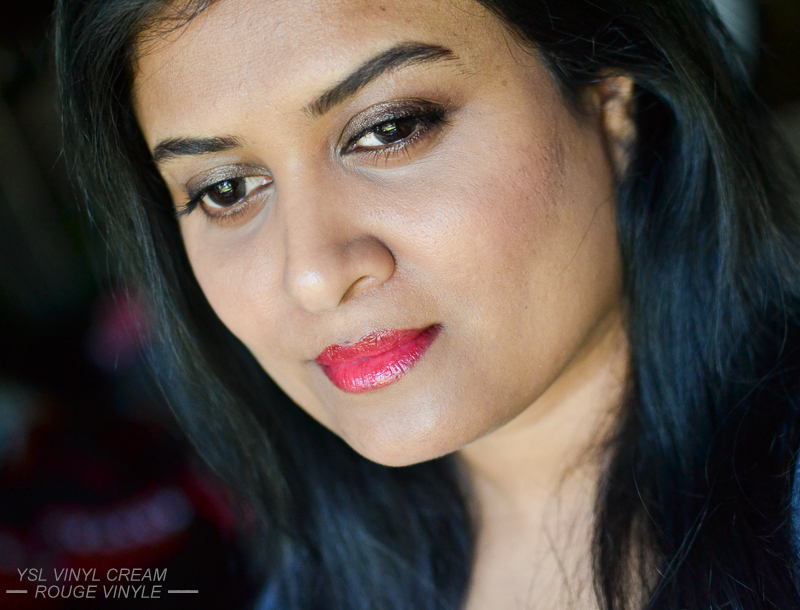 The YSL Vinyl Cream formula is similar to a lightweight liquid lipstick - or a thick gloss - and it feels like water on the lips. I could detect a fragrance, and they do have a slight taste to them, quite similar to YSL lipsticks I have tried before. They go on quite pigmented and opaque, and the color fades evenly over time leaving a longlasting stain on the skin/lips. I had a difficult time getting the stain out of the back of my hand. I have only tried out the samplers that I have with me, applied with a lip brush, so my experience isn't really the same as applying from tube, but I do think these lip stains go on better when applied in thin layers, with the opaque but lightweight formula letting the texture of the lips show through. These can be applied in a thicker layer, but as mentioned earlier, the formula seems to absorb into the skin over time, and it's never going to look like a thick glossy layer. 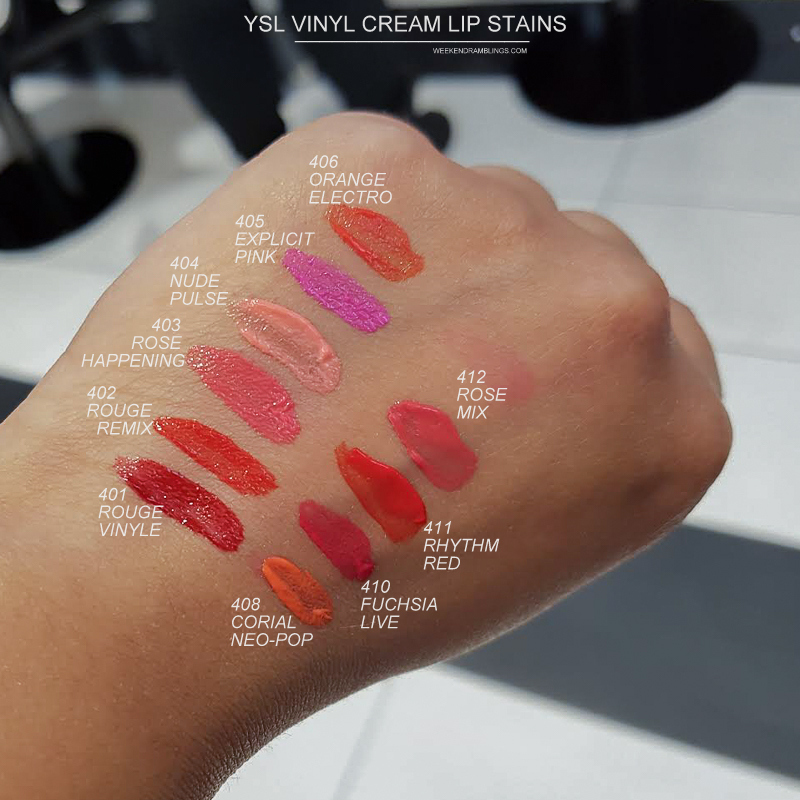 Whether you love bright reds and glossy plums or are the sort who loves to sport a bright orange lip, you are sure to find a shade or two to love with the YSL Vinyl Cream Lip Stains. It's an incredibly lip-friendly formula with intense pigmentation and a longlasting soft, glossy finish. These feel and look so light on the lips, yet provide quite opaque finish. 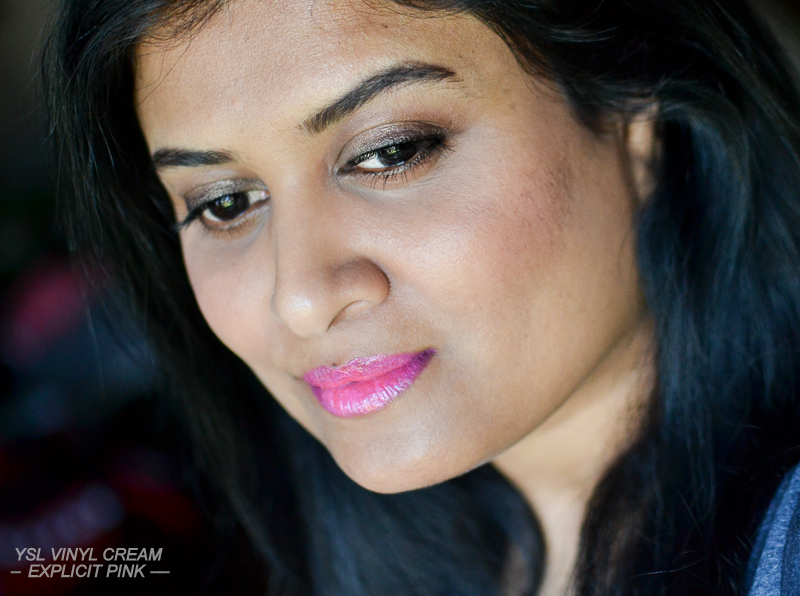 Overall, one of the best lipcolors I have tried in a long, long time.